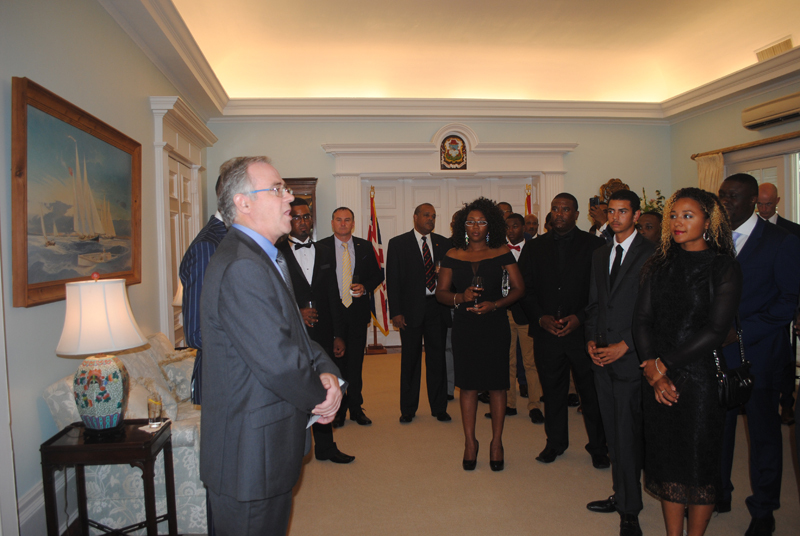 Governor John Rankin tonight [Oct 10] thanked Royal Bermuda Regiment soldiers and police officers for their hard work in hurricane-hit UK territories in the Caribbean. 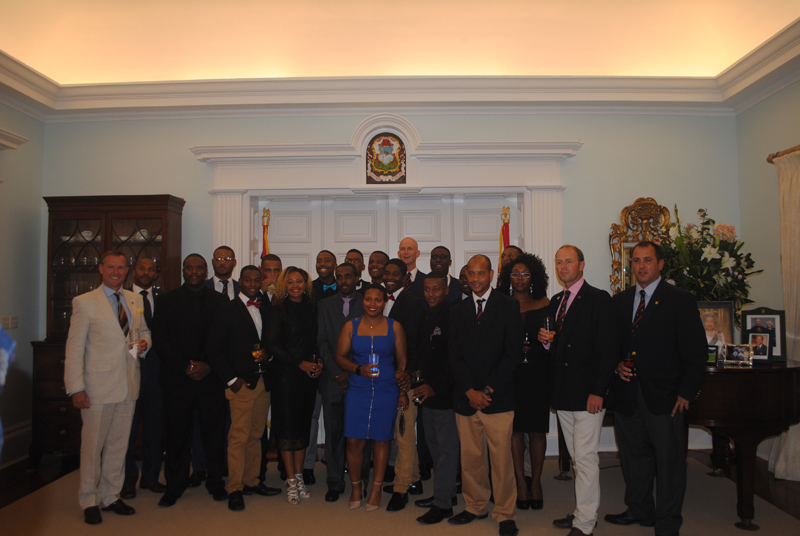 Mr Rankin was speaking at a special reception at Government House for the 30 troops deployed to help in Turks & Caicos [TCI] and the six police officers sent to the British Virgin Islands [BVI]. Private Raguel Dill, 19, from Warwick and who works in corporate sales for phone firm Digicel who joined the RBR just nine months before he went to TCI on the two-week relief mission. Pte Dill said: “The conditions were pretty bad – but we made it. Lance Corporal Lee Ann Medeiros, 25, a pastry chef from Warwick, added: “It was a great experience – but there was good and bad. The mosquitoes were a definite bad, but I got to meet a lot of nice people. Minister of National Security Wayne Caines added: “The restoration effort was about hope – when you land in a country that has been ravaged and these are people coming to help, there is hope and the knowledge that someone cares. Mr Caines said that some of the RBR troops were just 18 and were in high school a year before – a tribute to the training at Warwick Camp and the commitment of soldiers. Mr Caines added that people sometimes concentrated more on what was wrong with young people than what was right. RBR Commanding Officer Lieutenant Colonel David Curley added: “Our soldiers lived and worked in some very arduous conditions, but they succeeded in the main mission of humanitarian relief. “I’m proud of them and they set a very good standard working with UK armed forces and through their self-reliance. No props for these awesome representatives of our island in the comments? Not a single comment? 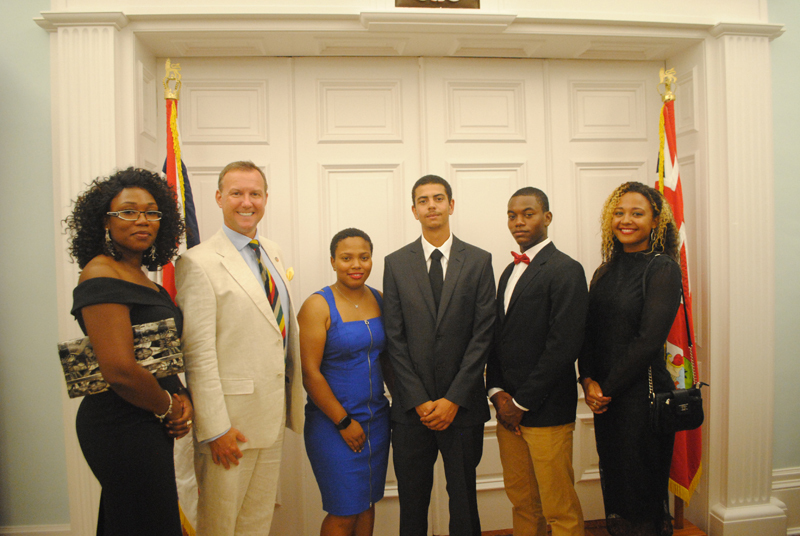 To paraphrase Mr Caines, let us acknowledge the good things our young people have done. I’m proud that my fellow Bermudians were willing and able to step up and help out on an international level in very challenging circumstances. (And let’s not forget the BELCO guys that are still out working in hurricane ravaged locations.) Ladies and gentlemen – thank you.